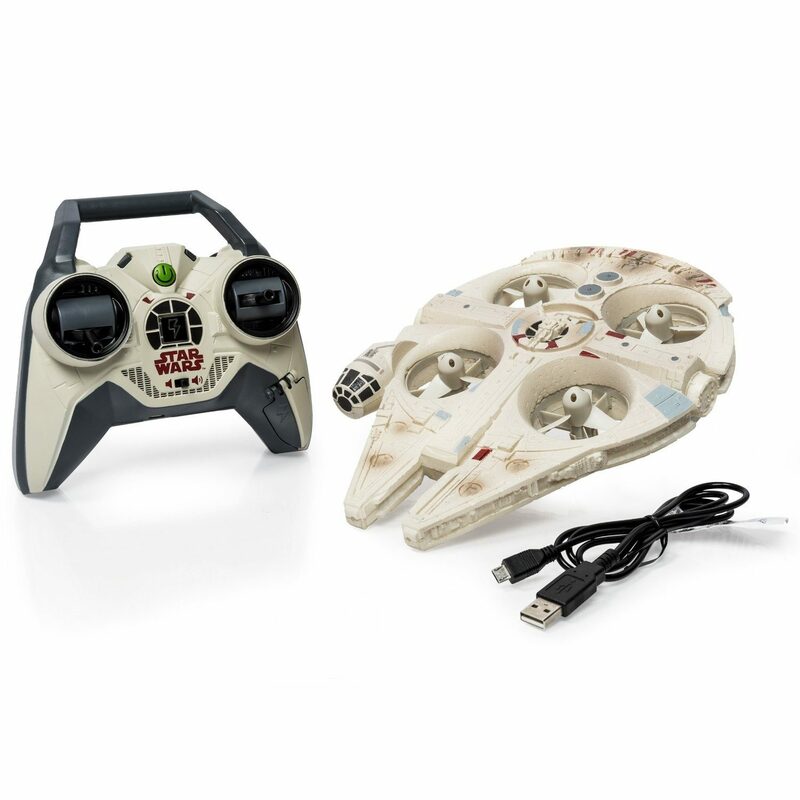 Air Hogs Star Wars Remote Control Ultimate Millennium Falcon Quad Only $88.84 With FREE Shipping! You are here: Home / Great Deals / Amazon Deals / Air Hogs Star Wars Remote Control Ultimate Millennium Falcon Quad Only $88.84 With FREE Shipping! Calling all Star Wars fans! Right now on Amazon you can pick up this fun and highly-rated Air Hogs Star Wars Remote Control Ultimate Millennium Falcon Quad for only $88.84 (Reg. $1099.99) with FREE shipping! What a great gift idea! The Millennium Falcon uses 4 rotors concealed ion the body of the ship for agile, space-like flight! Its 2.4Ghz communication lets you control the Millennium Falcon up to 200 feet away! Activates its hyper-drive stunt with the push of a button! The Millennium Falcon is for star fighters aged 8+. 6 x AA batteries required for operation. For indoors and outdoors use.